Home » Preparedness Planning » Understand Blizzard Preparedness Before You Regret It! For some people, the winter season is the name of excitement and celebrations. However, for others, especially those who live in a region that gets frequent snowfall, it comes with risks and warnings due to dangers of blizzards. It is important to understand blizzard preparedness beforehand even if there are limited chances of its occurrence to ensure minimum damage is caused. This article will serve as a complete blizzard preparedness guide. Continue reading further to know how you can get prepared for blizzards. The first step is blizzard preparedness is to understand and evaluate the dangers of a snowstorm. Keep a tab on weather updates to know about snow forecast in your area. It will help you to prepare in advance. Even if there are minimum chances, the best practice is to be prepared to face severe situations. Winter Storm Outlook: It indicates that there is a possibility of a winter storm in the next few days (2 to 5). Winter Weather Advisory: As per this warning sign, some serious inconveniences are expected to be caused by weather conditions. These inconveniences may prove to be hazardous. However, if necessary precautionary measures are followed, they will not prove to be life-threatening. Winter Storm Watch: It indicates that a winter storm is expected in next 36 to 48 hours. Thus, people living in the endangered area are advised to be fully prepared to face the situations. Winter Storm Warning: This is the most serious warning as it requires urgent actions to be taken. It implies that life-threatening conditions have already started or will begin soon (within 24 hours). Here is the checklist for blizzard preparedness, which you need to follow to ensure the safety of yourself and your family members. Electricity supply is affected in the areas that face inconvenience by a snowstorm. Thus, it is advised to have rechargeable LED lights that have longer standby time in your home. Having these lights in stock will keep your home lighted up even in the darkest of hours. In case of a light out situation, it is obvious that you wouldn’t able to charge your electronic devices i.e. smartphones, tablets, and laptops. Furthermore, internet connectivity will also be lost. Therefore, it is advised to keep a radio in your stock to keep yourself abreast of latest weather conditions. Survival can be tough during a severe snowstorm when you are forced to be locked in your home. During this cold weather, you need to have compact generators that can heat up your home. Make sure you have ample fuel supply for emergency needs. Keeping an emergency kit at home as part of blizzard preparedness is of utmost importance. Make sure this kit is equipped with all the right supplies so that it can come in handy at the time of emergency. There is no “One size fits all” approach to be followed when preparing this emergency kit as the requirements vary as per weather conditions, area, and family members. If you have pets at home, you should also consider their safety and include their essentials in the emergency kit as well. Having some handy snow removal supplies can also help during times of distress caused by a snowstorm. Ensure that you have a shovel, salt spreader, snow thinner and other supplies at your disposal. Ensure the food supplies are non-perishable. Check for expiry date before you buy them. Consuming expired food may require urgent medical care, which can prove to be difficult to arrange during a blizzard. It goes without saying that warm clothes hold crucial importance during the winter season for keeping our body warm. In case of an emergency situation like a blizzard, you must keep a handful of warm winter survival clothing with you for each family member. Jackets, jumpers, hoodies, body warmers, few pair of socks, mufflers; these are some of the apparels that you must keep with you for blizzard preparedness. Furthermore, it is also advised to keep some blankets as well. Rely on these blankets during daytime and leave the energy producing alternatives for night time. If you have a fireplace at home, it is recommended to keep some extra firewood at home as a part of blizzard preparedness. However, do not rely on firewood heat for a longer period of time as it can lead suffocation and the situation may worsen for you. Therefore, you should have alternatives to keeping a house warm without electricity. In order to minimize the effects of a blizzard, it is important to make your home storm proof. You can do so by getting your home properly insulated and applying weather-stripping to your windows and doors. Furthermore, it is also recommended to hire professionals for chimney inspection. Your home’s rain gutters must also be cleared. If there are air gaps, they must be caulked. If you have trees on your lawn, get their branches trimmed before the snow season starts as heavy snow or strong wind may result in its branches falling onto your home. 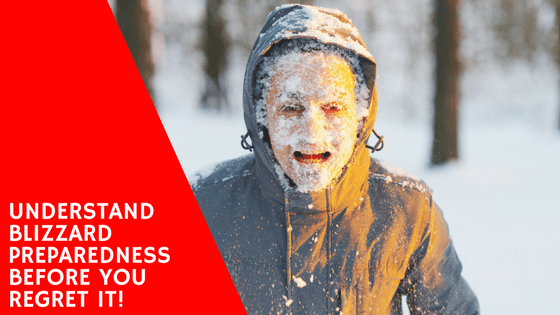 People can easily fall sick in extremely cold weather. Thus, it is essential to have some common use medicines i.e. painkillers with you. If others suffer from an allergy or other diseases, make sure you have a stock of their medicine with you. If the storm lasts for a longer period of time and there is power blackout; there is nothing to do. The result is tension-filled atmosphere at home. Thus, it is important to have a stock of books. You can spend time by reading them. If you have kids at home, you can have some board games as well. This will keep them entertained. If you are using heat generators or firewood, get smoke and carbon monoxide detectors installed in your home. Due to dependency on alternatives, house fires are common in such situations. Hence, it is advised to use these methods carefully and tactfully. Smoke and carbon monoxide detectors can come in handy in such a situation as they will warn you whenever the smoke or carbon monoxide level has reached a dangerous level. Keeping a fire extinguisher at home is also recommended. If any pipe of the house has frozen; remove its insulation and open all faucets. The next step is to pour warm water over the area that is most exposed to the cold. Keep a list of important contacts with you all the time. Share a common room with your family members. Close those rooms that aren’t used. Try to stay in covers as much as possible. Do not drive during such a condition. Do not use snow removal tools and equipment for an enhanced period of time. Using them for a longer duration may lead to overexertion that can result in heart attack. Keep your cell phones and other tech devices fully charged. In case you have run out of supplies or facing a power cut situation for a longer period of time, it is a safe option to move to a shelter. Thus, ensure you are aware of the nearby shelter so that you can move in there at the time of need. You must be aware of the common diseases in this season and their symptoms. This will help you to use the medicines accordingly. For example, Frostbite is a common issue faced by many in such a situation. Its symptoms include pale skin, burning, itching, and tingling in the affected area i.e. nose, toes, ears, chin, cheeks etc. It is a known fact that a blizzard can prove to be a dangerous situation. However, if you are completely prepared to face it, the chances of facing difficulties will get alleviated up to a great extent. Follow the complete checklist discussed above and all the tips as well for surviving the tough times caused by a blizzard. Cindy Hardy is an active prepper, self-proclaimed coffee addict, and most importantly mother to three beautiful children. She lives with her family on a small farm in Central Maryland, less than 20 miles from where she grew up. 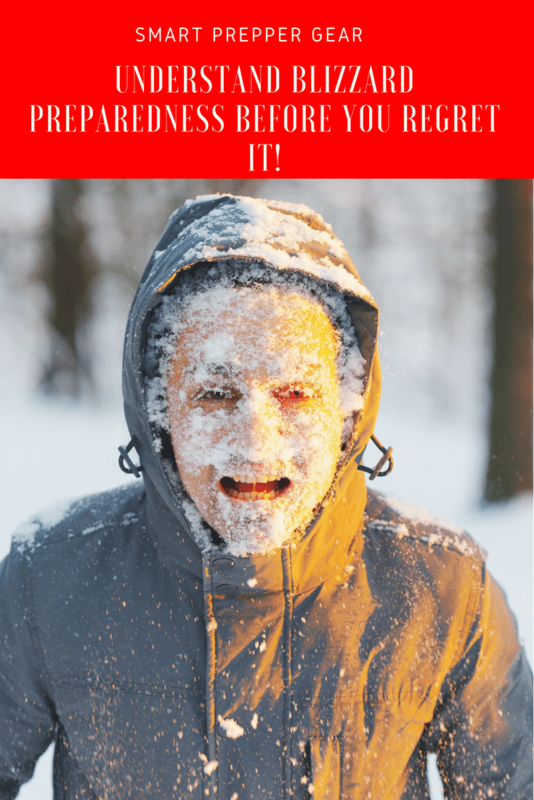 Previous: 3 Winter Survival Clothing Layers You Need to Know Today!